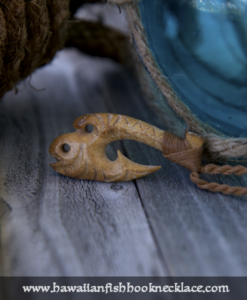 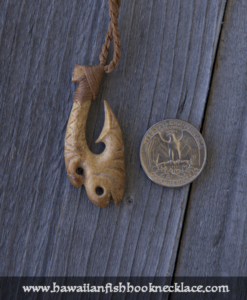 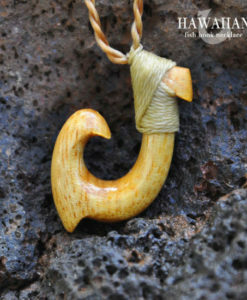 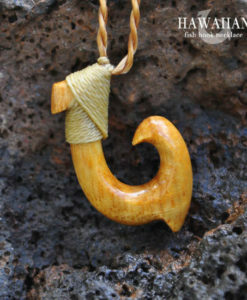 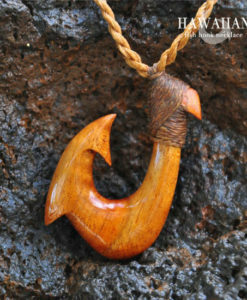 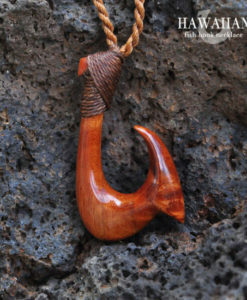 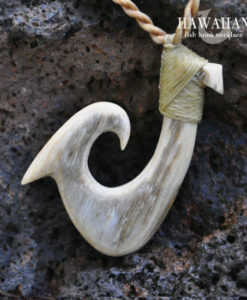 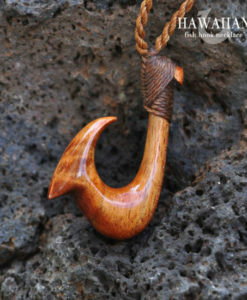 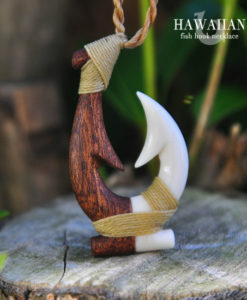 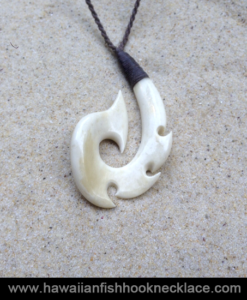 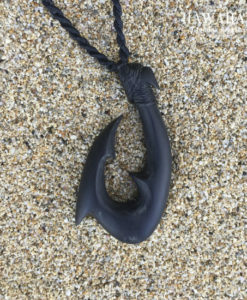 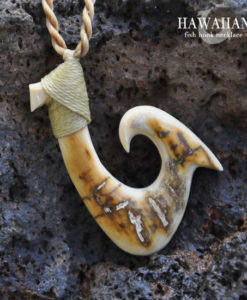 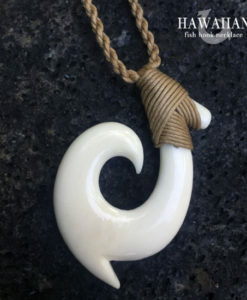 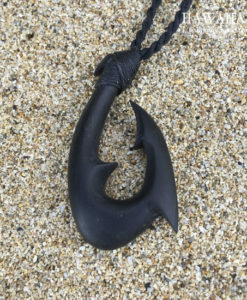 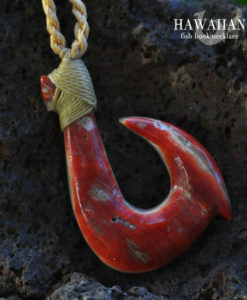 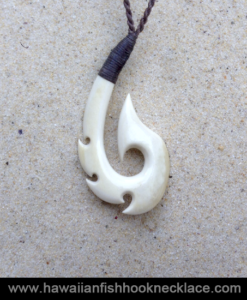 Carved in the shape of a fighter fish by Po'okela. 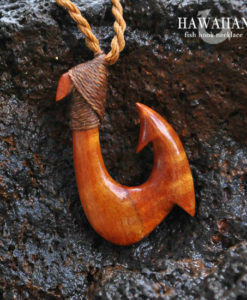 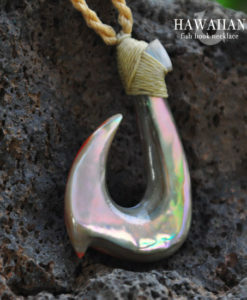 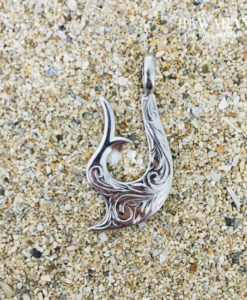 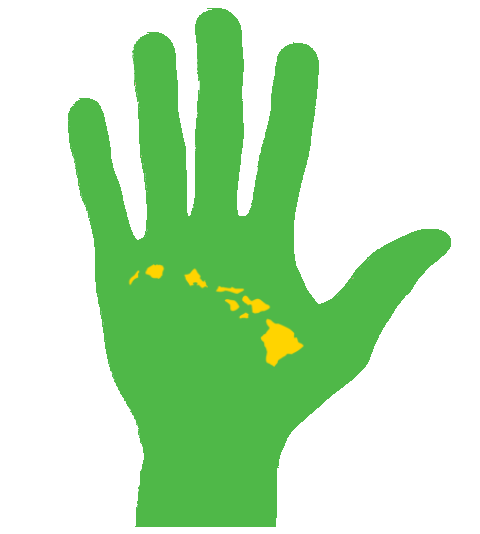 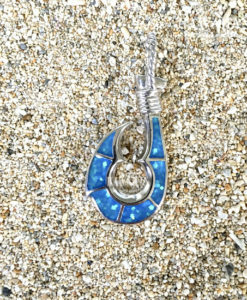 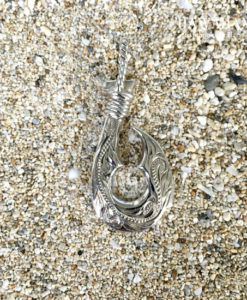 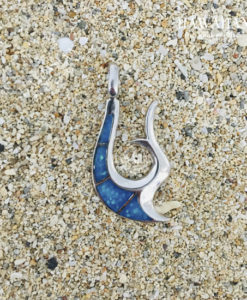 The fish hook in the picture is the one you will receive. 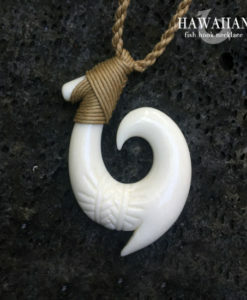 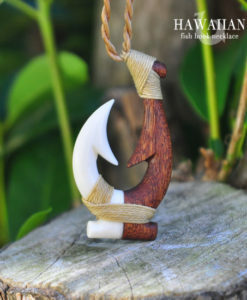 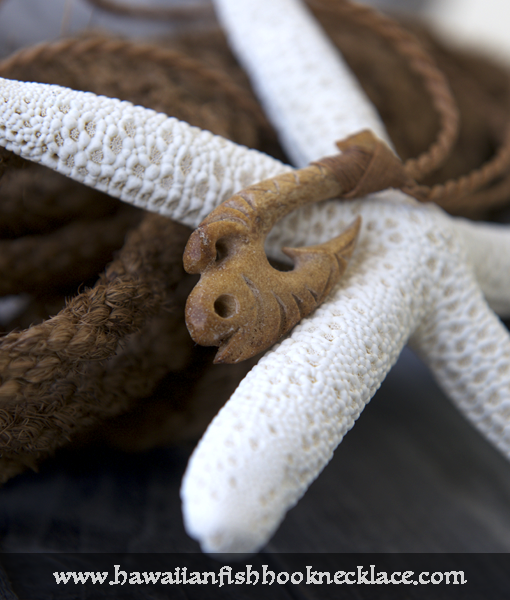 Carved from extinct sea bone.